Yahoo! Yahoo! The Holiday Boat Parade is coming!!!!!! 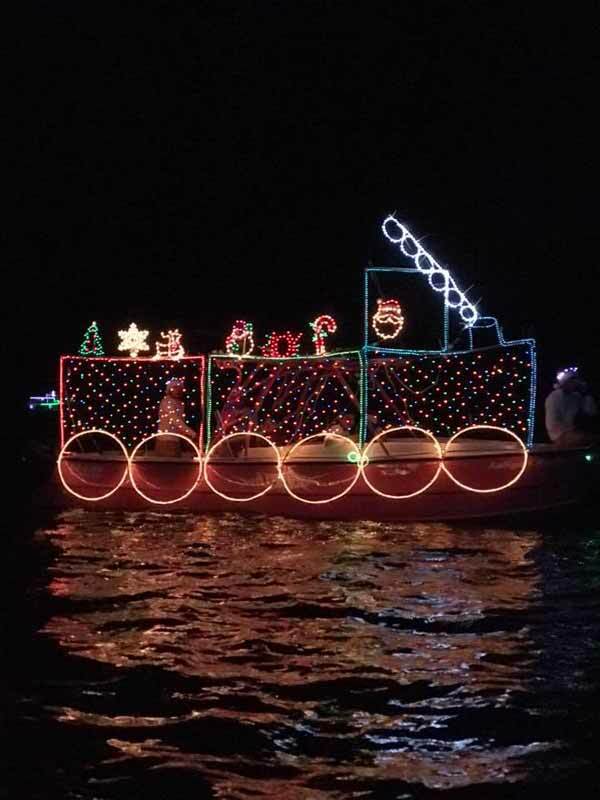 This year's traditional Holiday Boat Parade is scheduled for Saturday, December 8 at 6:00PM. 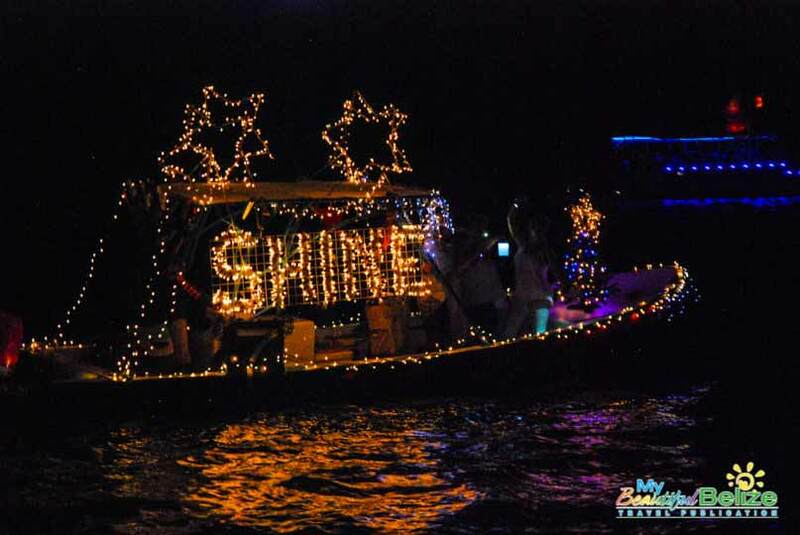 Come be a part of this annual tradition, and watch as boats light up the coast of Ambergris Caye, Belize! Leaving from Wayo's Beach Bar;, the parade route is along the coast of Ambergris Caye to Crazy Canucks Beach Bar and back! Make sure to join us for the Awards Ceremony to see who wins the $10,000 in CASH PRIZES! Will your favorite boat win? Come find out for yourself at Sandbar San Pedro&#8203; after the parade completes the route! Registration is open NOW! Message us to register your boat for the 2018 San Pedro Holiday Boat Parade! Are you a charity and need a boat sponsor? Message us and we'll find a boat for you! Register now! Email [email protected] to get your Registration Kits! It's starting to feel a lot like Christmas! 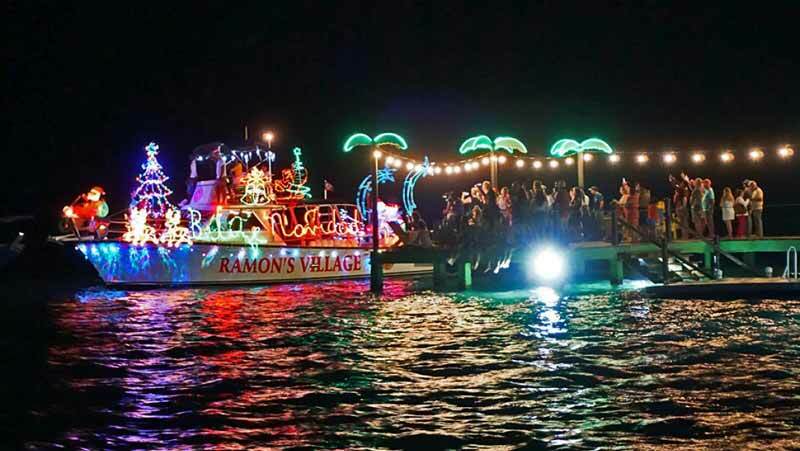 The countdown to the annual San Pedro Holiday Boat Parade has begun. Boat captains are encouraged to register today. 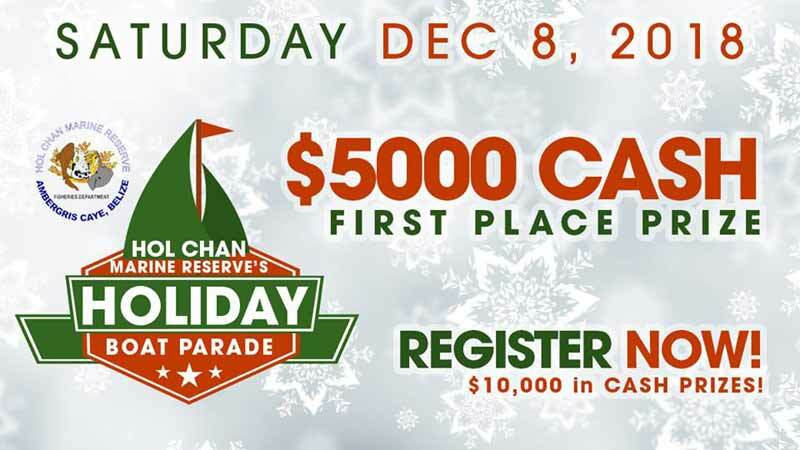 Registration is FREE and you could win from the prize pool of $10,000! Register your boat now by emailing [email protected]! As December rolls around, a festive breeze starts blowing across Belize. Yes, it’s Christmas time again and with the merry season comes the festive family gatherings, kids’ parties and of course, the San Pedro Holiday Boat Parade! Now in its 13th inception, this is an island tradition you won’t want to miss. There is nothing more festive than artfully decorated boats cruising along the Caribbean coastline. 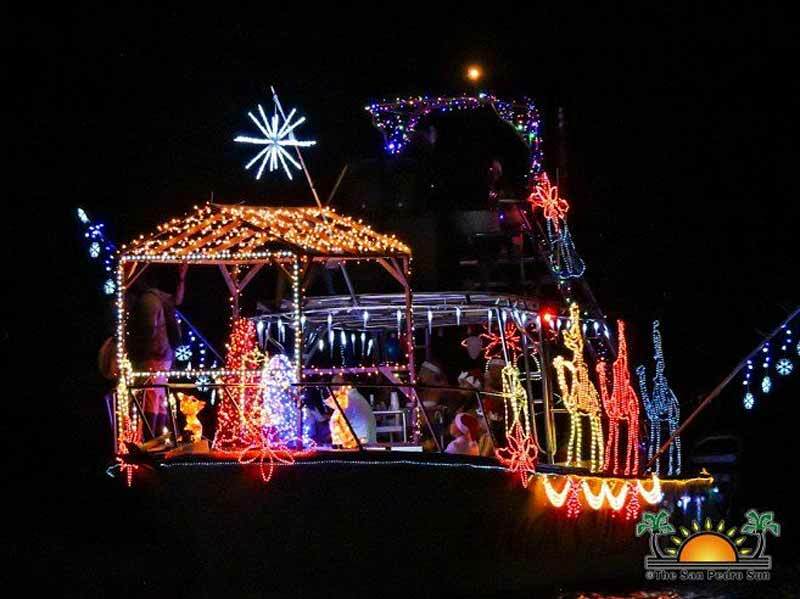 Scheduled for Saturday, December 8th, the 2018 Holiday Boat Parade will start its merry journey from Wayo’s Beach. 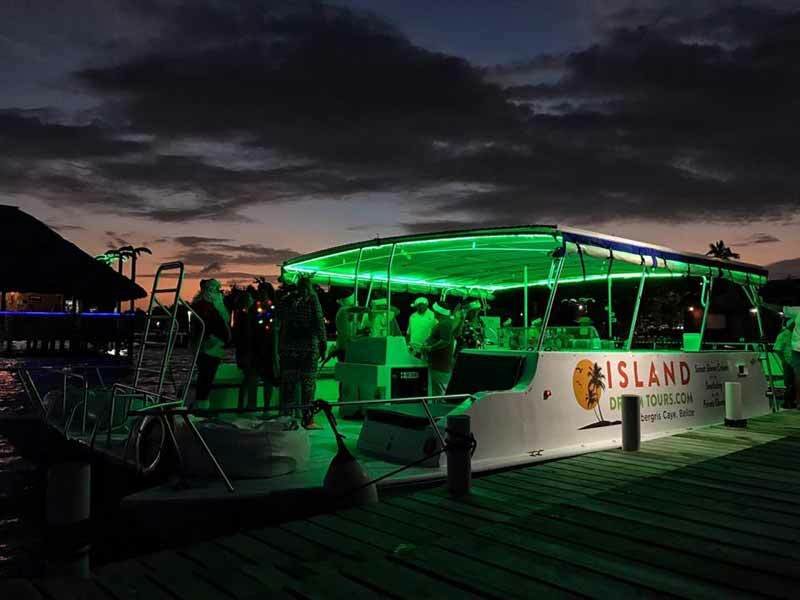 The illuminated boats will make their way to Crazy Canucks Beach Bar, delighting residents and visitors alike along the way. The parade then returns to the SandBar Beach Hostel and Restaurant for the announcement of the winners and the final hurrah. 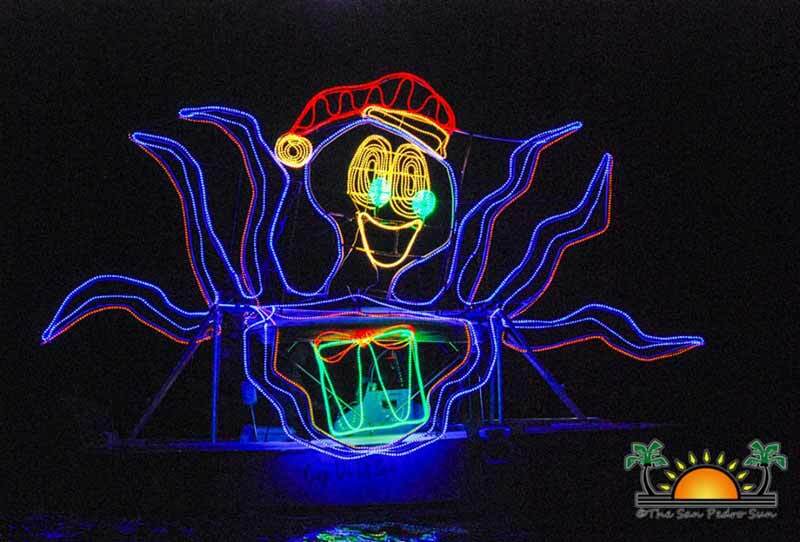 Videos & Photos of the Annual San Pedro Holiday Boat Parade! Sponge Bob Square Pants and Patrick Star hanging out by Palapa Bar and Grill. 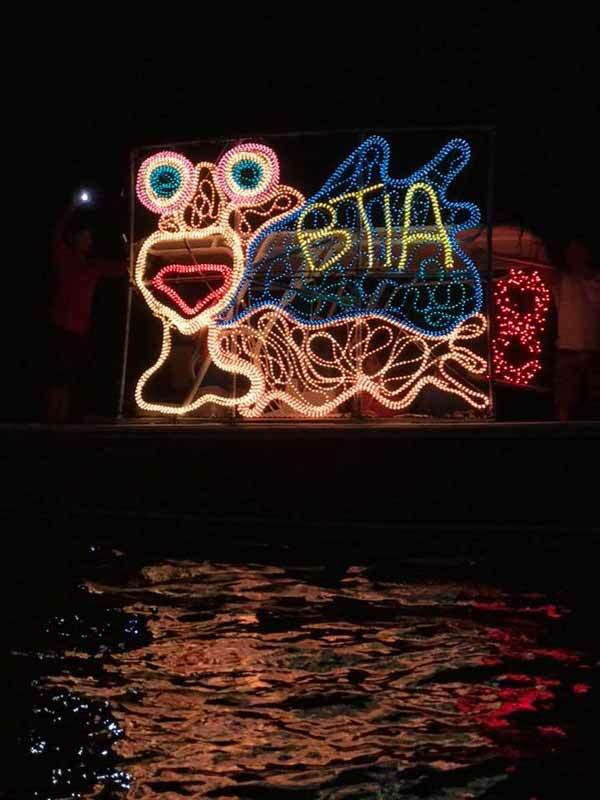 This is what I have been working on this week with Team Conchettes for the Belize Tourism Industry Association’s entry into the San Pedro Lighted Boat Parade. All Captain Conch wants for Christmas is a clean and pristine San Pedro. There was a lot of laughter during the making of this. We are grateful to our fabulous crew on the boat tonight. I am glad I was not responsible for moving the 8’ x 6’ panel to the other side of the boat in the dark. A big Thank You to our official sponsors The Truck Stop for our lights and The Dive Bar/Seastar Scuba for the boat, crew and a place to work. 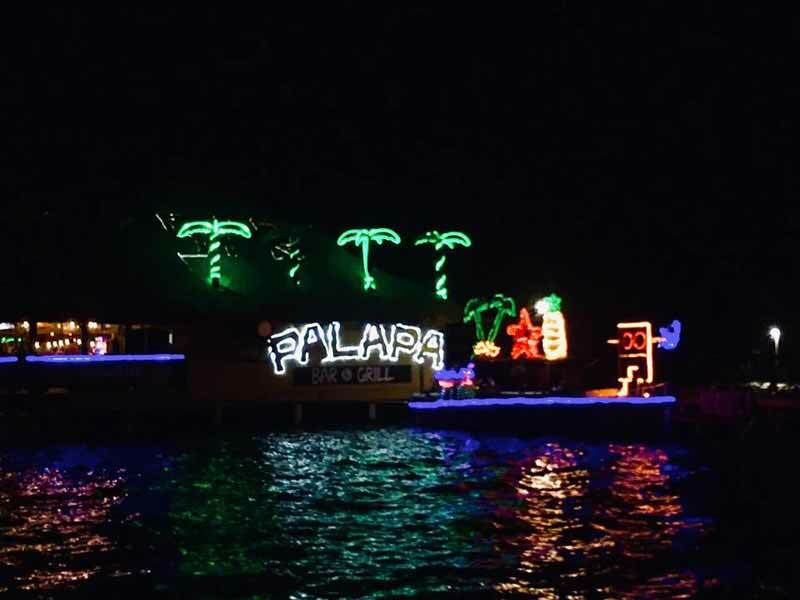 Thanks also to The Palapa Bar and The Belize Chocolate Company for their cash donations towards lights. I love it, I love it, I love it, I LOVE THE SAN PEDRO HOLIDAY LIGHTED BOAT PARADE. What a beautiful night and THE best way to bring in the holiday season. A GORGEOUS evening on the beach in San Pedro. The town and her visitors lining the beach. Here are my pictures. Sandbar was PACKED. It was the hub of the parade. Even Santa was there! I picked the longest dock – and staked out my spot. I need to lay down to steady my camera on the dock to get any semblance of a decent picture. It looked like the participants of this year's Holiday Boat Parade bought out all the Christmas lights in town. The boats were all lit up with colorful lights and cheerful with music, song and dance! 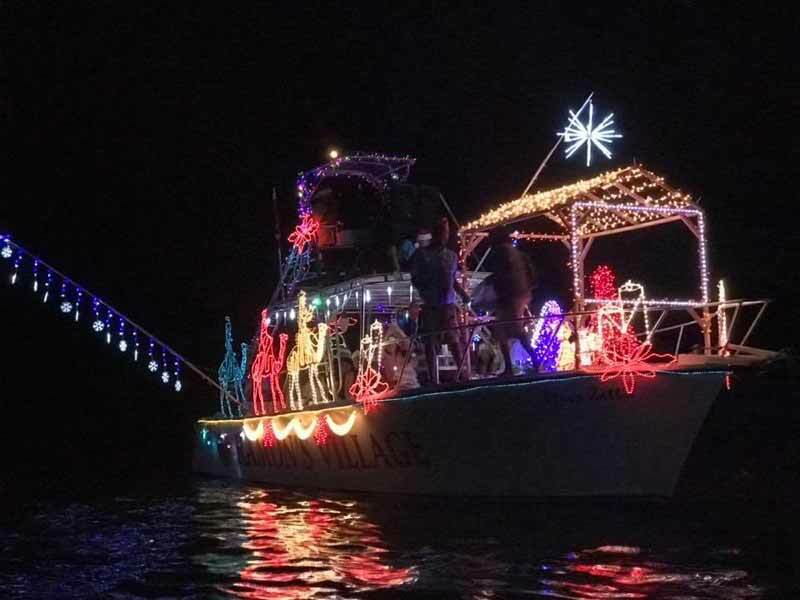 The Holiday Boat Parade boasted 11 boat entries, double that of last year. That meant double the light, double the fun, double the Christmas cheer at this year's annual event. Ramon's Village pulled out all the stops once again and secured the big win with two boat entries. 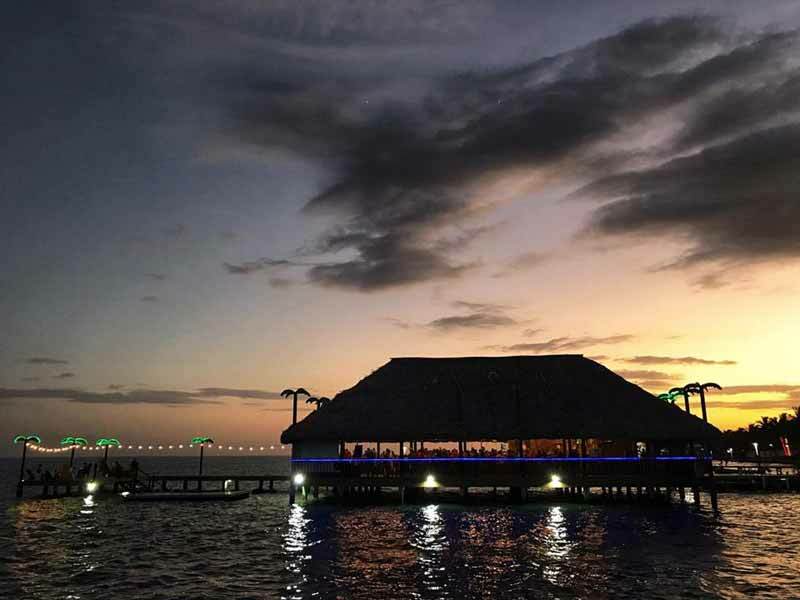 Their Belize Navidad with Santa Claus, Christmas trees, snowmen and reindeers took first place and their second boat took fourth place with a Nativity Scene. 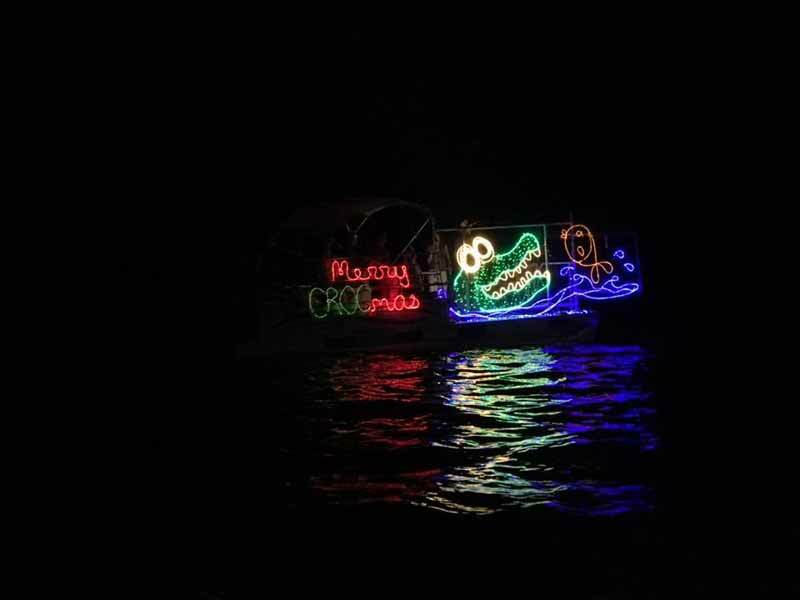 Fun Boats like ACES's 'Merry Crocmas' won Best Charity Boat while Kids in Action boat entertained with Sponge Bob Square Pants and Patrick Star. They took the prize for Best Small Boat. The highly anticipated event started at 6PM, heading south along the Boca del Rio beach. Large crowds of onlookers flocked the different piers along the beach to get a good look at the shining vessels. 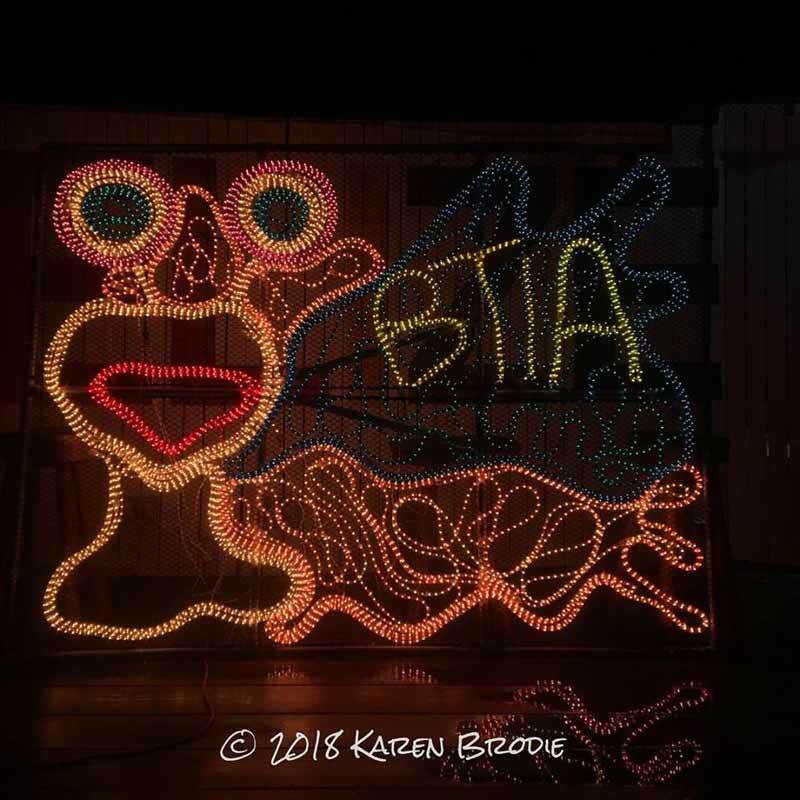 The creativity this year was admirable, from a Sponge Bob themed boat, to a Belizean Christmas, a Christmas themed crocodile and even the San Pedro chapter of the Belize Tourism Industry Association’s (BTIA) mascot, ‘Captain Conch,’ made its presence to continue advocating for a trash-free San Pedro. After the award ceremony, the winner of the 50/50 raffle was announced. That lucky winner was Katie Henry, who took home $322 from the $644 raised.